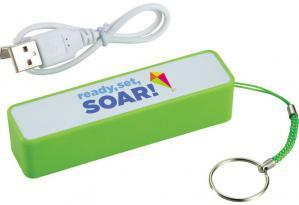 Promotional Items, Inc.™ invites you to select rechargeable power banks. For use with various mobile devices. Engraved or imprinted with your logo. 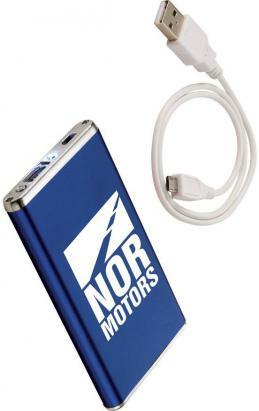 Power banks with your logo are definitely useful products with your logo as business giveaways. aluminum 2200 mAh power banks to 4400 mAh dual mobile device simultaneous charge. Featuring imprinted, laser engraved and four color process printed power banks. 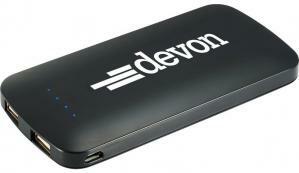 All of our power banks are available with Rush Production, no extra charge. 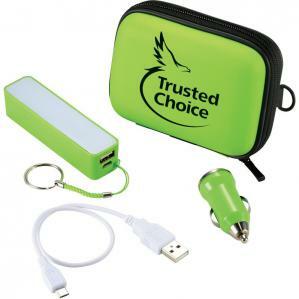 Choose promotional power bank you desire from the selection below. Visit mobile audio device Custom Ear Buds page for related items. 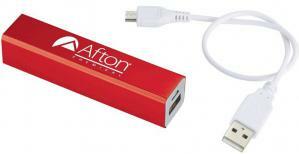 Power banks customized with your logo for business items or giveaways. 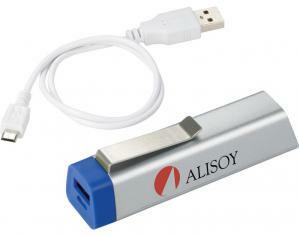 Buy promotional power banks laser engraved or four color process printed.